Although Lorenzo Begali looks like he might have just stepped out of a Spaghetti Western his stardom is in winemaking, not cinema. Since 1986, he and his wife Adriana (and more recently children Giordano and Tiliana) have been producing wines from the 25 acres of Veneto vineyards that have been owned and worked by his family for the past 100 years. All of the Begali family wines are extraordinary but the “Monte Ca’ Bianca” Amarone is something truly special. Most all Amarone aficionados are familiar with the names Dal Forno and Quintarelli and their bottles that sell for $300-$400. The Begali name is now being recognized as a producer making the most exciting wines in the region today, perhaps even outshining these other cult producers, and without the huge price tag…yet. “Monte Ca’ Bianca” is a blend of 40% Corvina, 35% Corvinone, 20% Rondinella, and 5% Oseleta from a single vineyard on the east-facing Castelrotto hill between the city of Verona and Lake Garda. Following a late September to October harvest, where the fruit is sorted both in the vineyards and cellar, the grapes are left to dry in ventilated lofts for 3 months. The concentrated grapes are then pressed and transferred into stainless steel tanks for fermentation and then large oak casks where the wine ages for four years. The wine is then bottled and allowed to age another whole year before release into the market. The result is an Amarone with exquisite concentration and purity, redolent of dark fruits, cola, and exotic wood spice. Far from being saccharine, there is an earthy vibe throughout with a long, supple finish. It’s a genuinely balanced richness. Quite often wines like this that are capable of developing in the cellar are not crowd-pleasers in their youth. Somehow Lorenzo finds the magic that makes “Monte Ca’ Bianca” a pleasure to drink for years and years after release. Italy’s most respected wine publication, Gambero Rosso, has given “Monte Ca’ Bianca” it’s highest possible rating of “Tre Bicchieri” in almost every vintage since 1997, including the latest release of 2010. If you’ve never seen this wine it’s because only 200 cases are produced annually. 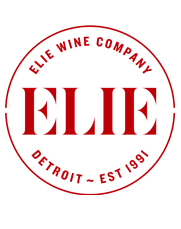 Elie Wine Co. committed to about eight percent of that. Even though this is not an inexpensive wine, we know value when we taste it.